Dallara is a brand known to all those who are interested in the world of car racing. The Emilian company owes in fact its reputation to its experience on circuits all over the world, where it has distinguished itself thanks to excellent results in Formula 1, GP2, GP3, Indycar and WEC FIA. Then think about Dallara's consultancy activity in the design of compact supercar such as the KTM X-Bow and the Alfa Romeo 4C. 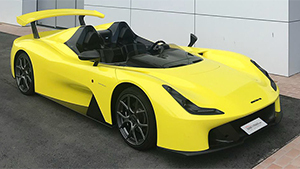 After a 45-year experience in competitions, Dallara presents its first model, the Dallara Stradale.